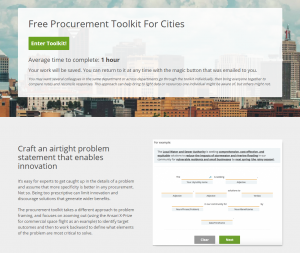 This Free Procurement Toolkit for Cities helps city and utility officials make critical early stage procurement decisions, including which “big city” procurement tool is most relevant and how to apply it to build resilience. 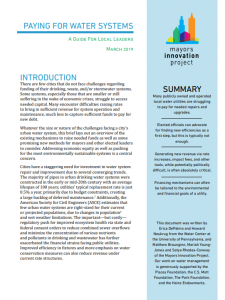 The toolkit focuses on ways cities and utilities can use current procurement systems to enable better outcomes. The procurement toolkit was piloted by seven U.S. cities: Anchorage (AK), El Paso (TX), Camden County MUA (NJ), Gary (IN), Norfolk (VA), Imperial Beach (CA) and Providence (RI). With the generous support of the Kresge Foundation, re:focus partners and The Atlas Marketplace brought together a cohort of seven cities with eight private sector implementing partner organizations to apply three innovative “big city” procurement tools to tackle major infrastructure challenges in smaller cities. 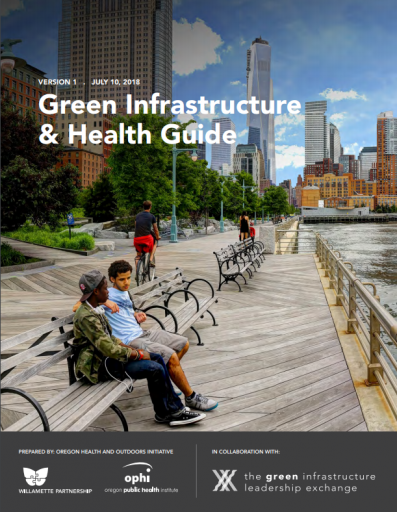 This guide, Green Infrastructure & Health, provides some general principles, best practices, and experiences about how best to use green infrastructure to promote better health equity. It is designed for use by managers, engineers, community organizations, planners, and others who are siting, designing, building, and stewarding green infrastructure in urban areas and rural towns across Canada and the United States. The guide is a product of several Green Infrastructure Leadership Exchange cities coming together to build stronger partnerships between green infrastructure providers and health providers. 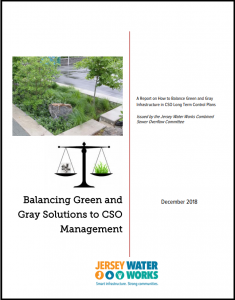 The guide is organized in sections that can help green infrastructure providers and their partners answer important questions about how green infrastructure can improve health. 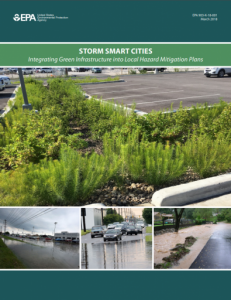 This guide, Storm Smart Cities: Integrating Green Infrastructure into Local Hazard Mitigation Plans, is a case study of Huntington, West Virginia and early efforts to consider how green infrastructure could be incorporated into local hazard mitigation plans. It follows a partnership of local, state, and federal organizations and their collaborative effort to address local flooding and protect water quality. While the effort is ongoing, the Storm Smart Cities guide captures some early lessons learned that can benefit other communities interested in pursuing a similar approach. 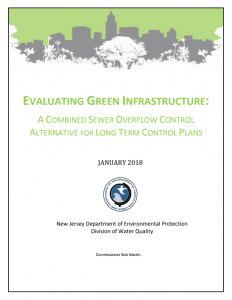 It includes recommendations for communities on integrating green infrastructure into local hazard mitigation plans. 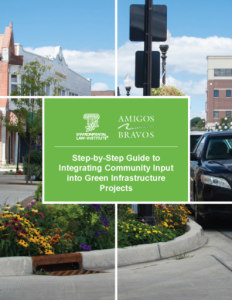 ELI and its partner Amigos Bravos drafted this Guide to Integrating Community Input into Green Infrastructure Projects to help local governments integrate community input into their green infrastructure projects. It sets out eight steps that local governments can take and, for each step, provides details and tips to help local governments as they move through the process. The Asset Management Definitions Guidebook defines terms commonly used in water utility Asset Management practice. 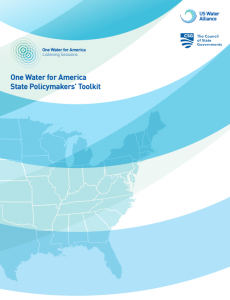 American Water Works Association’s Asset Management Committee developed it to help improve learning, consistency, and communication in the water industry. The Committee encourages professionals throughout the industry to use the guidebook, and expects the terminology in products that the Committee sponsors (e.g., publications and presentations) to be consistent with it. As Asset Management practice in the water industry matures, its terminology is likely to change. Thus, the Committee plans to revise this guidance periodically to reflect changes, and invites people that use the document to send the Committee comments on how it can be improved.